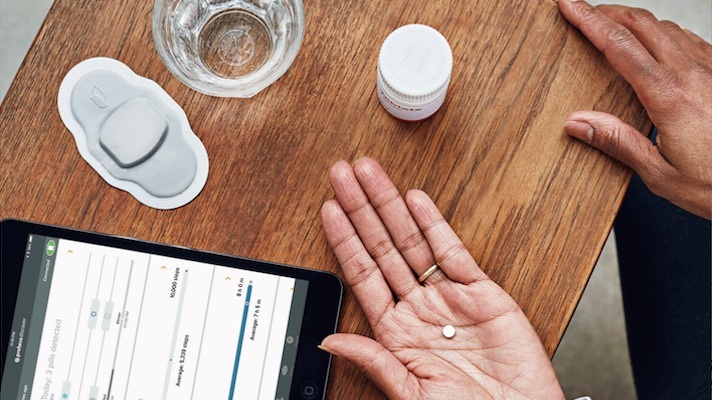 Commitment to digital health varies across today’s leading pharmas, and many stakeholders are still waiting for the novel treatments to prove themselves with evidence and commercialization success. Although still in its earliest chapters, the story of digital thherapeutics is beginning to pick up steam. Just six months ago, that the first software-only therapeutic cleared by the FDA, Pear Therapeutics’ reSET, kicked off a commercial launch driven by the sales channels expertise of an established pharmaceutical partner. Proteus, meanwhile, recently expanded dealings with its long-time pharma partner as it builds up to a launch of its ‘digital pill.’ On the other hand, Akili Interactive Labs, the maker of a video game-like therapeutic still under review by the FDA, is foregoing any traditional licensing agreements for its upcoming video game-like therapeutic and is instead cutting pharma deals that will allow it to retain control of distribution, data collection and more. As more and more digital treatments come onto the market, the successes or failures of these partnerships and others will likely play a major role in defining the broader landscape of pharma-backed digital therapeutics, according to a new report from Rock Health and ZS Associates. Built from interviews with nearly 30 individuals representing pharma, digital therapeutics and health plans, the investigation outlines the industry’s current state and many of the roadblocks facing Pharma-digital therapeutics partnerships. For starters, pharma companies’ current support of digital health falls across a wide spectrum. Although each pharma source interviewed by the authors described having some kind of digital strategy in place, only some would expand their investment beyond a baseline commitment to pursue, for instance, brand-agnostic digital therapeutics platforms or product co-development. Further, some pharmas may still be hesitant to embrace digital treatments due to skepticism from payers. Many of the interviewees representing a health plan highlighted “a perceived lack of clinical evidence collected by [digital therapeutics] companies to demonstrate long-term health and financial outcomes,” creating a sort of cyclical impasse that the authors said likely persist until digital therapeutics makers and other stakeholders can generate robust clinical efficacy data for their products. In considering these barriers and many of the unknowns still facing the industry’s earliest partnerships, the authors generated some guidance for pharmas and digital therapeutics makers looking to enter an alliance. These include: a shared definition of the digital therapeutic and the partnership’s anticipated outcomes; organizational commitments evidenced by strategy, structure and culture investments; an agreed upon roadmap for the generation of evidence describing the treatment’s impact; and a shared plan for how the product will be distributed and financed. “The insights gathered in our full report offer important guideposts and guardrails for leaders to work through issues of mutual value creation, investment, evidence, and commercialization. Upfront alignment on these points is critically important to the long-term success of these alliances individually, and to the [digital therapeutics] sector as a whole,” the authors concluded.